James is a fan favorite who has proven himself on numerous occasions. He started out winning local comedy competitions which excelled his rise to Comedy Club headliner. 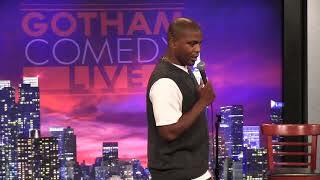 He has been seen at Gotham comedy club in New York city as well as on Comcast Cable's Comedy on Demand, and on TV One with Rowland Martin.